Ahh….the month of love. Or as I’d rather call it, the month of chocolate. I’m not big on Valentine’s Day. I love to get the kids something special and fix a delicious dinner. But as far as getting a card and roses from my hubby? I’d much rather get those things on any other normal day of the year. Not on the day that he is expected to get them for me. Does that make sense? As long as we are together as a family, that’s what matters most to me. And if we get to be together and eat some sweet chocolate….that makes things all the better! 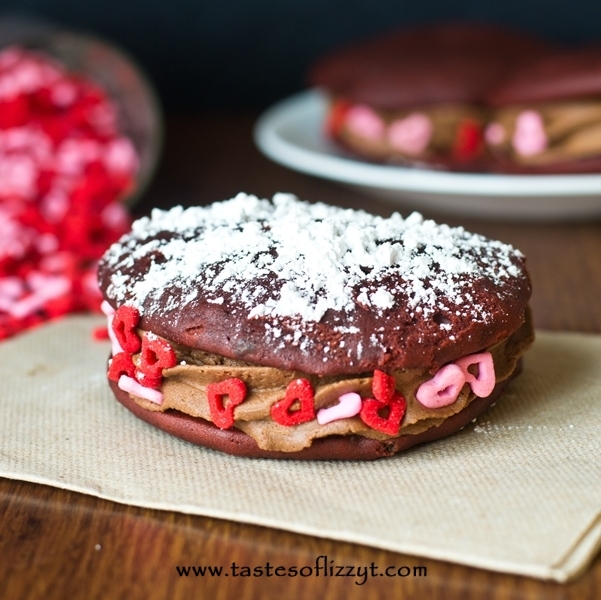 I created these little chocolate sandwich snack cakes with Valentine’s Day in mind. They are made completely from scratch, so I added a little bit of red food coloring into the chocolate cake batter to get a bit of a red velvet hue. It’s not super red because it takes a lot of red food coloring to make brown turn into red. I felt slightly unhealthy dumping an entire bottle or two of red food coloring into the batter. Not that these are in any way healthy, but you know what I mean. You can definitely add more coloring if you’d like, or leave out the red coloring all together and keep the classic chocolate look. These snack cakes are a homemade version of some of your favorite store-bought school lunch desserts. 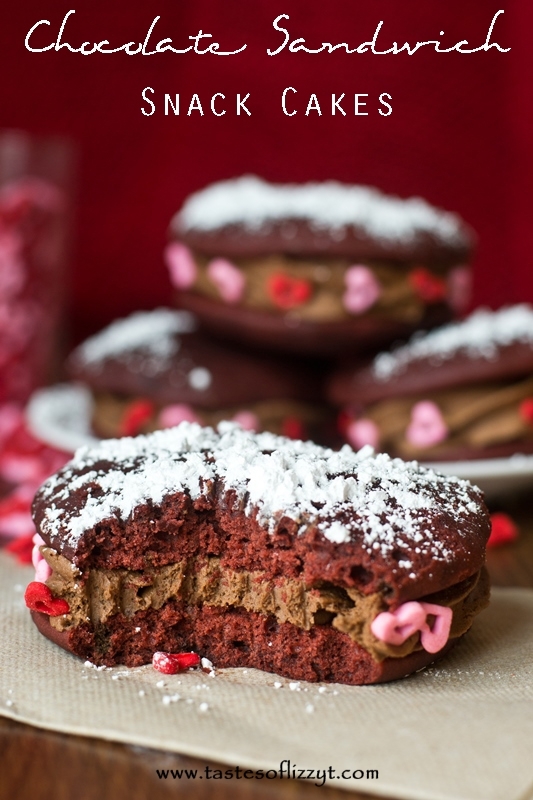 They’re super soft and stuffed with homemade chocolate buttercream. Wrap them individually and they make a great lunchtime dessert! I hope you enjoy these cakes. They’re seriously one of my absolute favorite things to make…and eat! Go see the recipe here!